An interesting event and observation as I was heading down my road near Ely the other day. 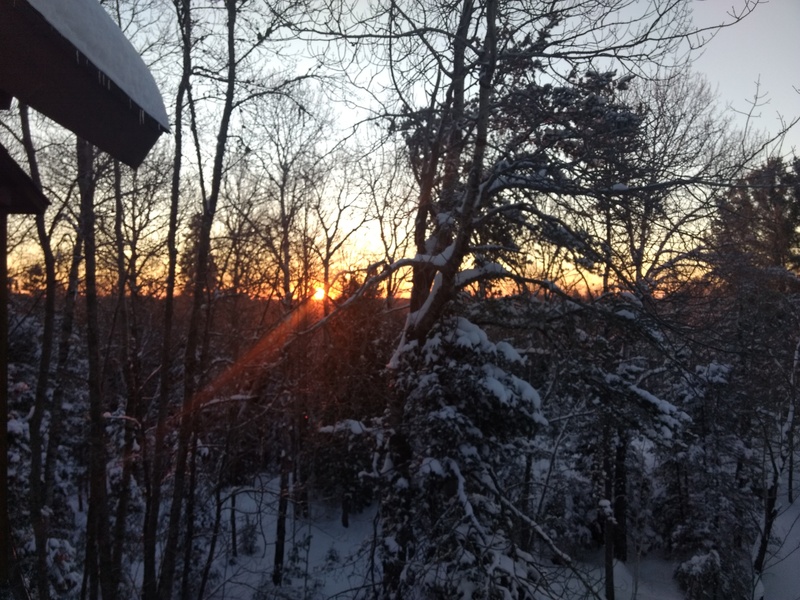 We had gotten about 10 inches of fluffy snow on the weekend and another 4" that morning. 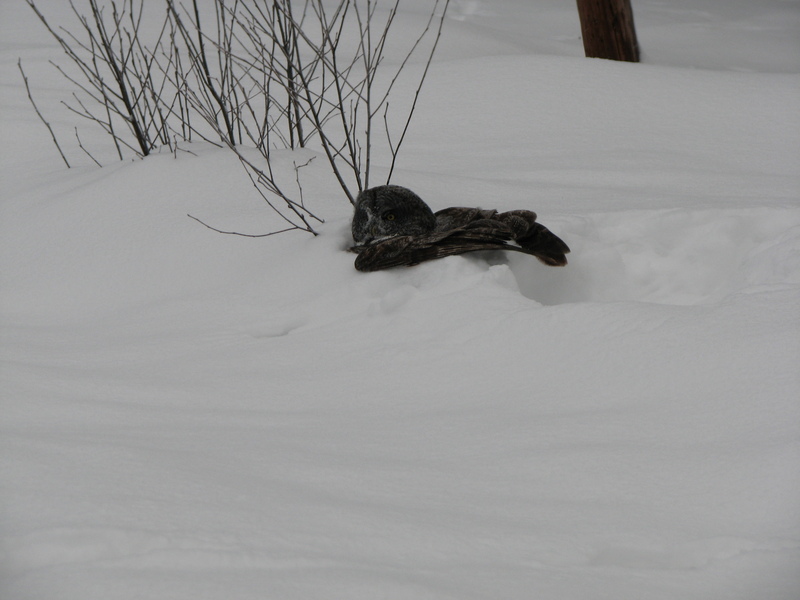 A gray object plopped into the snow and I stopped to see what it was. He had no idea I was there, though I was 30' away stopped in my truck. Of course I grabbed my camera and tried to get some shots. I took some pictures as he looked up then dove back in. 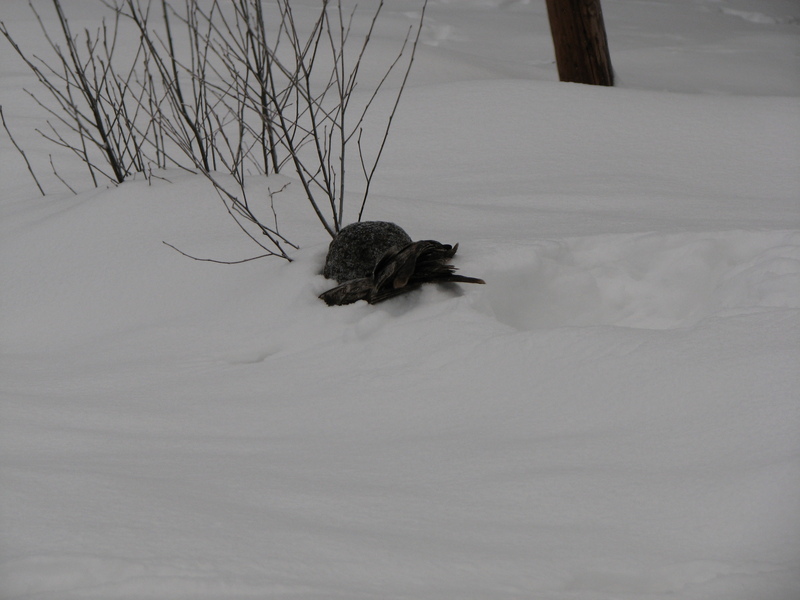 After a few seconds he took off and headed towards the woods. 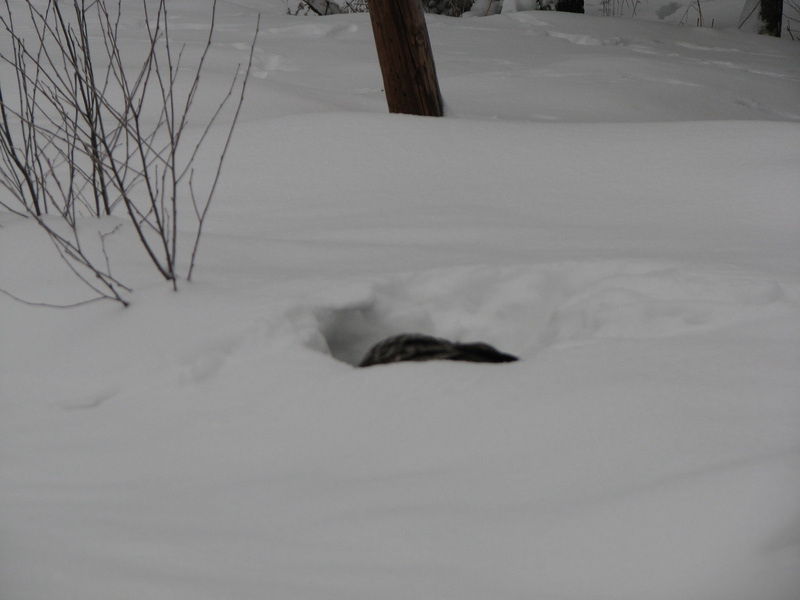 Then I saw the Snowshoe Hare bouncing into the brush. 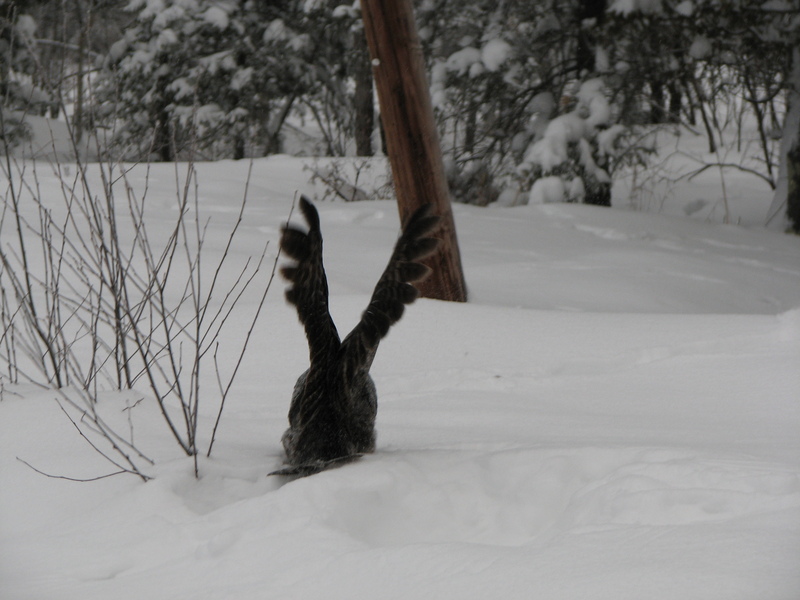 He must have popped out of the snow further away and ran. 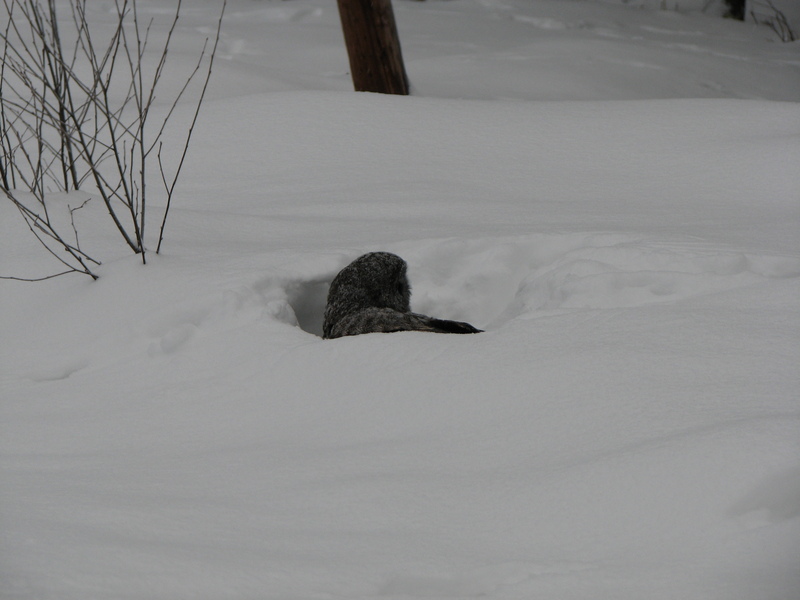 The owl tried to chase after it but with a five foot wingspan there was no way he was going where that rabbit just went. As I looked at these pictures later I found myself wishing I had a better camera... But at the same time I was wondering what I might have missed. Wondering if maybe, had I not been interested in getting the pictures and instead just observing, I might have had a more vivid memory to carry with me instead of a few poor quality photos.